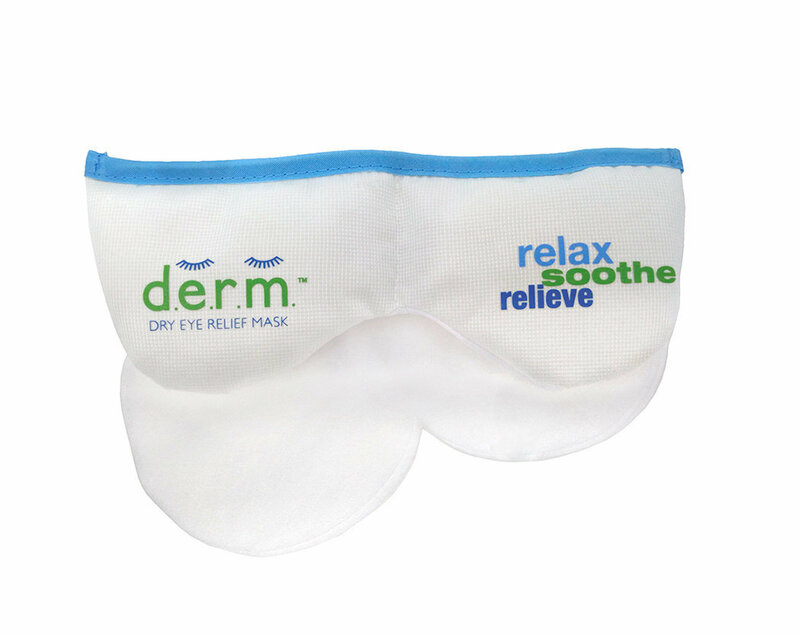 The Dry Eye Relief Mask, D.E.R.M.™, is a moist-heat compress for dry eye. The mask contains Silica beads which naturally attract moisture from the air and release it when microwaved. Heating the mask for 20 seconds will provide soothing moist-heat relief for 5-6 minutes. We supply complimentary samples of liners with the D.E.R.M. which can be moistened and applied to the mask prior to heating to extend the treatment to 7-9 minutes. D.E.R.M.™ is hypoallergenic and can also be used to create cold therapies for allergy relief.